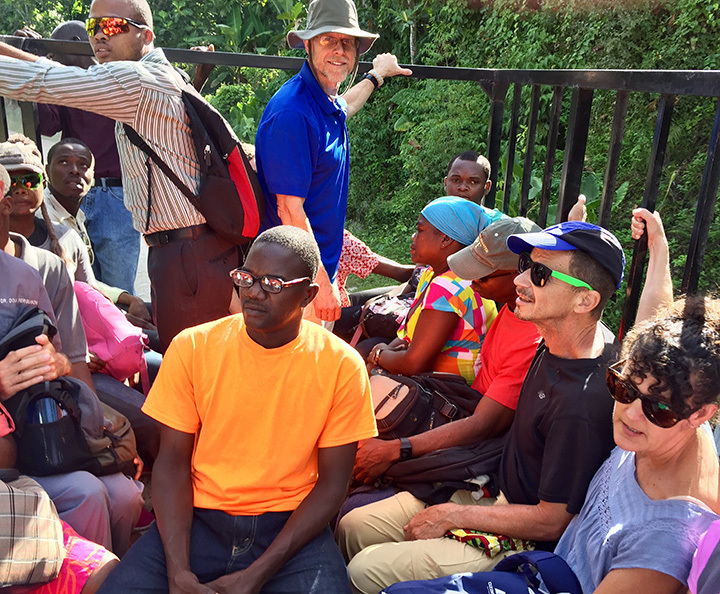 After returning from a short-term ministry week in Haiti, how does one respond to the question, “So, how was your trip?” 14 of us are prayerfully engaging in those conversations this week, as we integrate back into our Columbus routine. Sometimes, you just say, “It was amazing!” Sometimes, you answer with stats: our five mobile medical clinics served 370 patients, providing medical exams, pulling teeth, supplying medications, etc. You might describe some physical challenges: the formidable tropical heat, the rough cut roads, the crowded trucks, the nearly impassable roads. Did I mention the roads? Or maybe, just maybe, you get the chance to talk about hope. 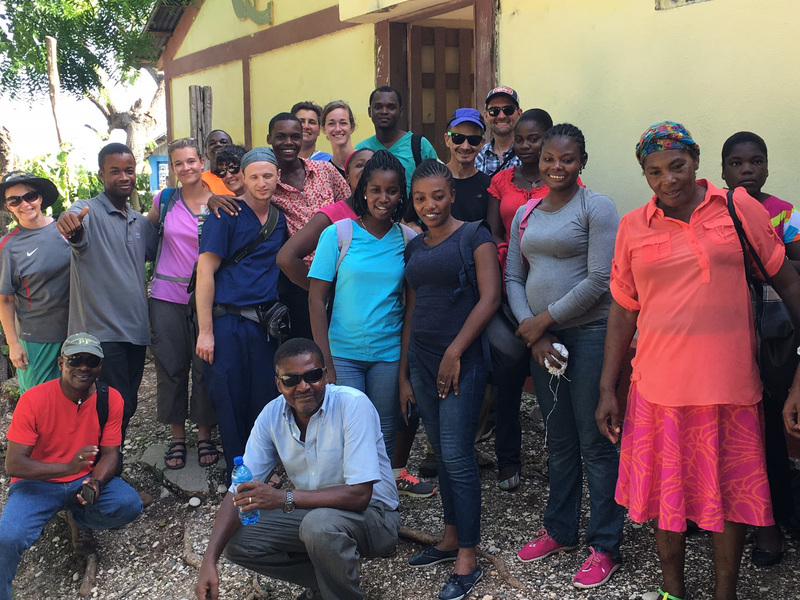 We had the privilege of bringing hope to several far-flung communities on Haiti’s southeastern coast. Hope for relief from a physical ailment. Hope that Haiti has not been forgotten. Hope that today will be better than yesterday. But we brought an even greater hope – the hope of the gospel! Each day’s clinic began with this message of hope, proclaiming that God offers hope for your soul, an ultimate healing and reconciliation purchased by Christ’s sacrifice, freely given to anyone who would receive. What is the real hope for Haiti? Romans 8:18 …the sufferings of this present time are not worthy to be compared with the glory that is to be revealed to us… even we ourselves groanwithin ourselves, waiting eagerly for our adoption as sons, the redemption of our body. For in hope we have been saved, but hope that is seen is not hope; for who hopes for what he already sees? But if we hope for what we do not see, with perseverance we wait eagerly for it. This is real hope! Not a gee-I-hope-everything-goes-ok kind of hope, but a confident hope in the sure promise from our almighty God. Adoption. Redemption. Belonging. Forgiveness. Freedom. 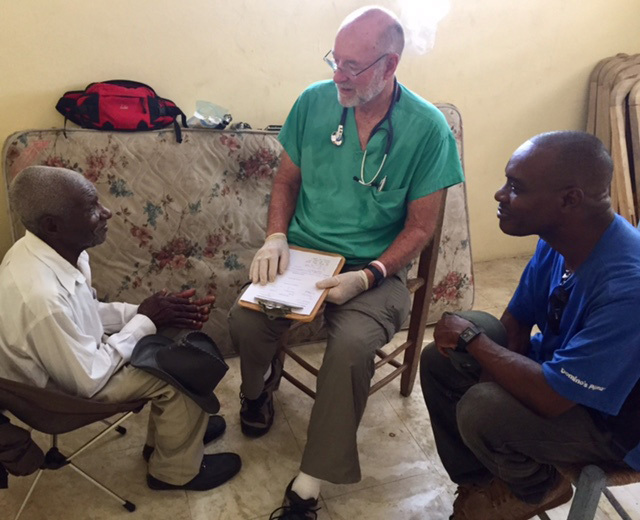 Praise God for the 64 Haitian men and women who responded to this message of hope at the clinics last week, who have been rescued from the kingdom of darkness and transferred into the kingdom of God’s beloved Son. Praise God for the Haitian pastors and committed Christian workers who are gathering the new believers into communities where they can grow in their understanding of God’s love, and where they can persevere together in eager expectation of their eternal future with God. Praise God for the sacrifice of our friends, families, and co-workers, who made it possible for us to be hope bearers in Haiti. “So, how was your trip?” Yea, we saw some things. We saw heaps of impossible conditions. But we saw the beauty of hope triumph over despair. And that’s something worth talking about.